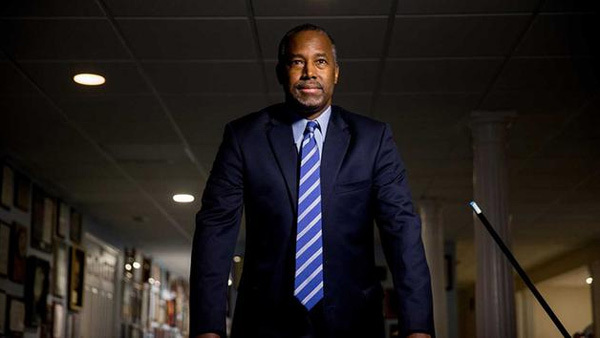 Ben Carson at CPAC: "I'm leaving the campaign trail"
Ben Carson announced Friday afternoon at the Conservative Political Action Conference that he is ending his presidential campaign. Carson is declining to endorse any candidate for the Republican nomination, though he says he has "talked to all of them this week." Speaking to a gathering of conservative activists in suburban Maryland, the retired neurosurgeon says the United States needs "trickle-down ethics." He says the ideal presidential candidate is ethical and accomplished, has clear policies and treats others well. He says whoever can check all of those boxes would be a "great leader." Carson reiterated that he is leaving the campaign trail, something he announced on his Facebook page the day after Super Tuesday contests. The Conservative Political Action Conference crowd gave him an adoring standing ovation. He says there are "a lot of people who love me, they just won't vote for me." Carson says he will now be working on a project to encourage religious values voters to participate in elections.